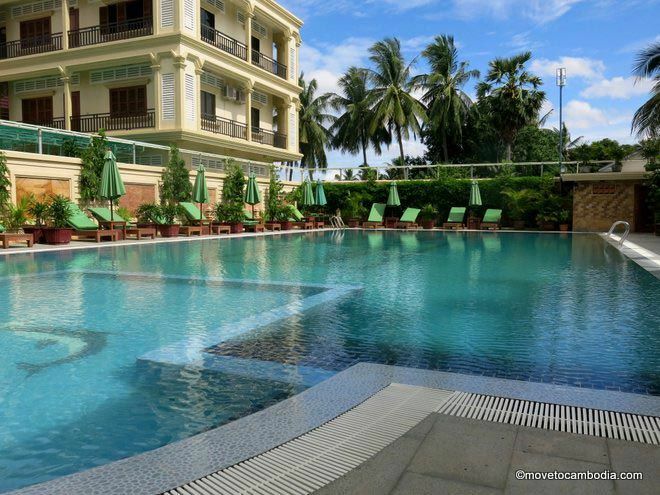 Battambang’s Classy Hotel is home to quite possibly the biggest pool in Battambang. 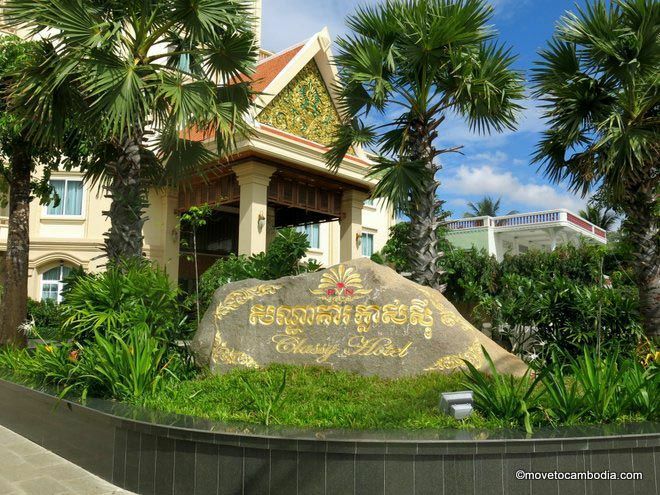 Battambang’s Classy Hotel. It’s pure class. With a name like Classy, this new hotel in Battambang has a lot to live up to. Luckily, it doesn’t disappoint, scoring high marks in the “new-build Asian hotels in Battambang” category. The lobby is very wood-heavy, as behooves any new-build Asian hotel in Cambodia. It’s hard to imagine how many Cambodian forests were devastated to achieve the heavy, elegant feel that these sorts of places aspire to. Luckily, the rooms themselves are tastefully decorated (or as tasteful as it gets in new-build Asian hotels in Battambang), featuring air-conditioning, enclosed hot-water showers, mini-bar, LCD TV, and WiFi. Quite possibly the biggest pool in Battambang. Classy Hotel also has a gym that, although not easy to find, is surprisingly well-equipped for a hotel gym in Battambang. It features several cardio machines, free weights, bench press, Smith machine, and several other bits and bobs, including exercise balls. When we asked why a new-build Asian hotel in Battambang would have such extensive fitness equipment, the answer was, “The owner spent a lot of time in America.” The gym and pool are open 8 a.m. to 8 p.m.
Classy Hotel: As tasteful as it gets. Upstairs you’ll find a sky bar and restaurant with one of the best views in town, second only to Phnom Sampeou. The city-view rooms also feature a pretty decent view and have balconies to enjoy said view, but the pool-view rooms lack balconies and views of anything other than the massive pool. The sky bar is probably worth a sunset drink even if you’re not staying here. Prices at Classy Hotel are significantly lower on Agoda than on the hotel’s own site or their walk-in rate. When we visited, we were told Superior rooms were $50, but found the same room on Agoda for $34, and we were told that they can be negotiated to $30 or less by tuk tuk drivers (although that sounds dubious). 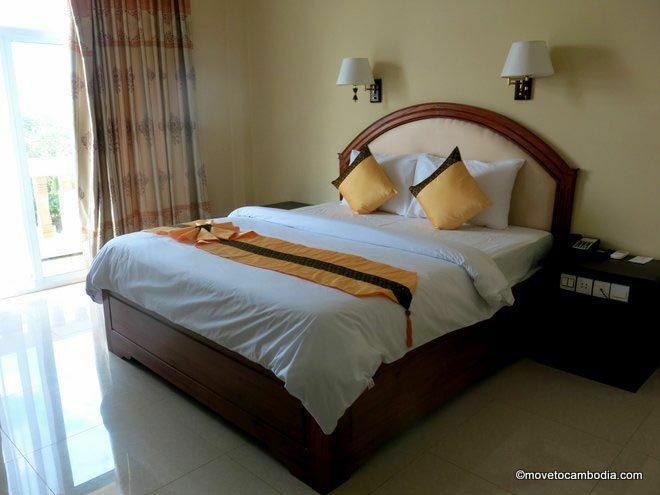 Check prices and book a room at Classy Hotel on Agoda now.